So you’ve explored undergraduate and graduate project management degrees. You’ve found a great industry for project managers, and you’re working on developing skills to advance your career. Where do you turn? A solid podcast can help keep you up to date on the latest trends in project management, and provide listeners with valuable insights from some of field’s most accomplished and experienced professionals. 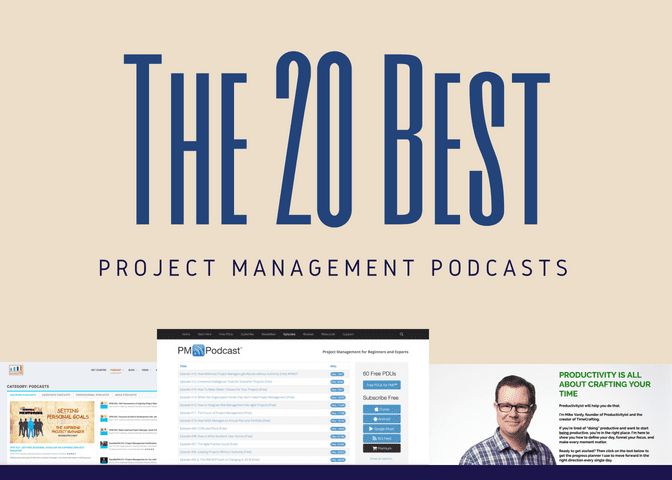 We’ve rounded up twenty of the best project management (and project management-related) podcasts available, with a focus on practical advice, career development, and skill building. Check out the list to find the best podcast for you! 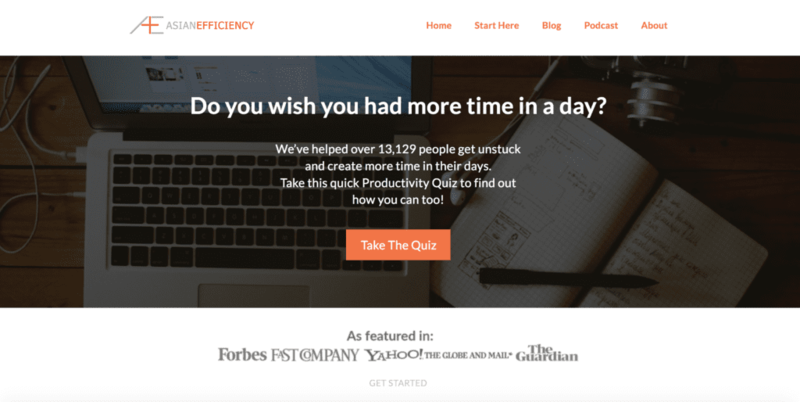 Andy Frisella’s MFCEO Project comes recommended by Inc., Entrepreneur, and Yahoo! 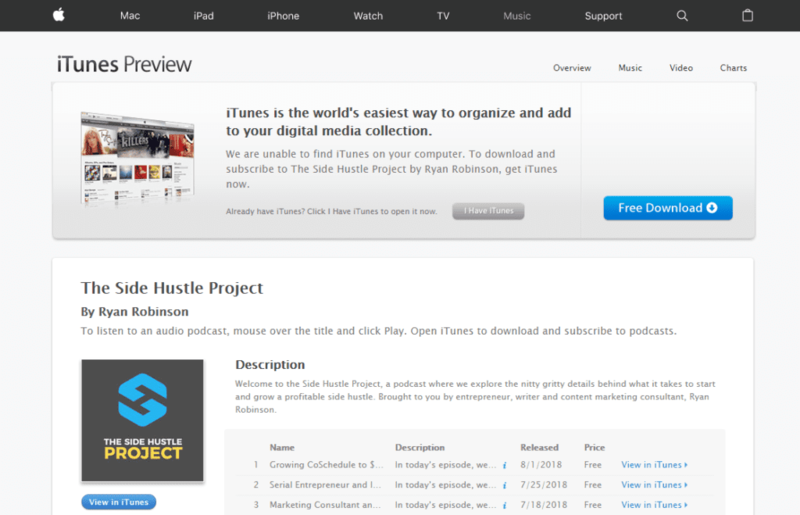 as the #1 entrepreneurship podcast. Covering everything from management, to marketing, to daily habits of success, Frisella will train you not just to beat your competition but to dominate it. And he knows from experience. Never the smartest guy in the classroom, Andy went from having nothing to becoming a CEO, author, and public speaker with a $100 million empire to his name. MFCEO’s goal is to replicate that success story. To be clear, this podcast isn’t for everyone. It’s aggressive, in-your-face, and challenging. But for highly motivated professionals — whether you’re a project manager, entrepreneur, or general business enthusiast — The MFCEO Project could be the tool that takes your work to the next level. 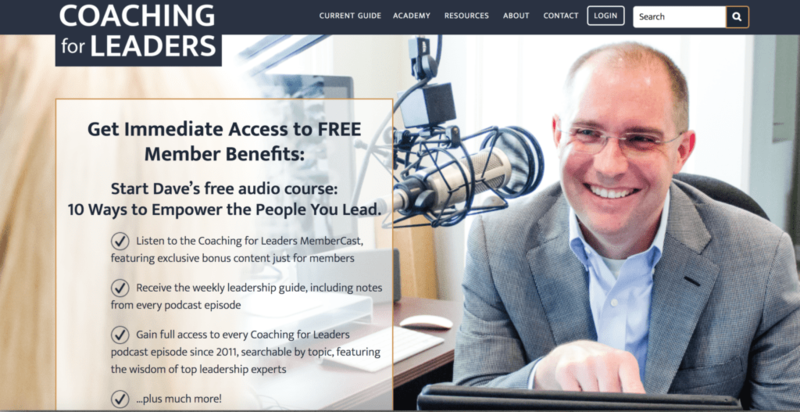 Hosted by Dave Stachowiak, Coaching for Leaders is a weekly podcast covering talent management, leadership development, change management, productivity, executive coaching, and ethics. Produced since 2011, the show boasts over 150,000 downloads every month, and features interviews with leading business professionals, bestselling authors, and experts from a variety of fields. Previous episodes include “How to Make Inclusion Happen,” with guest Deepa Purushothaman, National Managing Principal of Inclusion at Deloitte; and “Executive Presence with Your Elevator Speech,” with Tom Henschel, Founder & Principal Consultant at Essential Communications. In addition to the podcast, Dave offers an updated list of resources and free membership, including access to a year-long leadership development program, every Coaching for Leaders podcast episode, and more. The Productivity Show is just as advertised: a show about “time management, life hacks, productivity, and getting things done (GTD).” What project manager wouldn’t to improve those skills? 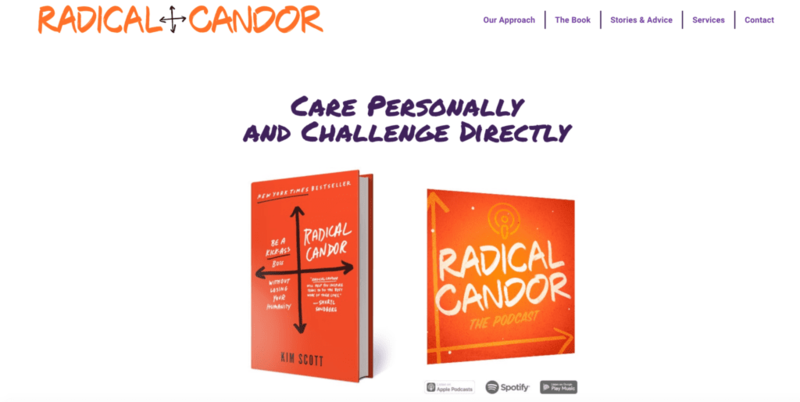 Featured in Forbes, Fast Company, Yahoo!, and The Guardian, the podcast has thousands of loyal listeners and features everything from the most practical advice — how do you prevent inbox floods? — to special tips like iPhone productivity strategy, best ways to use your local wifi coffee shop, and 6 steps to planning a productive day (in advance). In addition to the podcast, check out the website for access to free training, premium courses, blog content, and more. For project managers looking to maximize efficiency while maintaining quality, The Productivity Show is a must-listen. 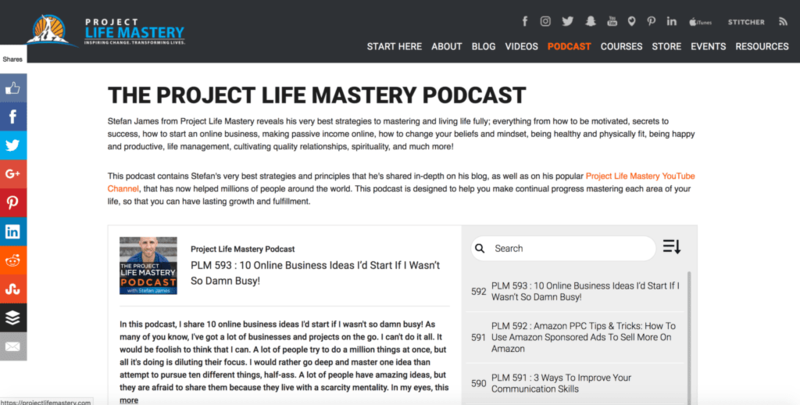 Project Life Mastery’s goal is to help listeners improve every aspect of their life, from the professional to the personal, to promote lasting growth and fulfillment. Host Stefan James is an internet entrepreneur, life and business coach, philanthropist, and world traveler who founded the podcast in 2012. Whether it’s learning how to build passive income or the relationship between health and happiness, Project Life Mastery takes a holistic approach. Project managers in particular will learn valuable lessons in business strategy, work-life balance, and impact. Most important, you’ll build a foundation for success and fulfillment that will last a lifetime and serve you in every facet. In addition to the podcast, Stefan hosts a popular YouTube channel, blog, and series of online courses. Hosted by Cesar Abeid, PMP and full-time Project Manager for Remote Monitoring Technologies, Project Management for the Masses Podcast is perfect as both an introduction to the industry for aspiring project managers and a resource for seasoned professionals who want to expand their skills. Each episode features interviews with successful project managers working across a range of fields, plus tips on maintaining productive work-life balance, personal stories on entering the industry, and lessons on how to apply project management principles in your personal life. Previous episodes include “Overcoming Procrastination,” “7 Ways to Handle Criticism,” and “The State of Project, Program, and Portfolio Management.” Project management doesn’t have to be overly stressful; this podcast teaches you how to leverage skills you already have for a better personal and professional life. With over 70 episodes and 100k subscribers in just one year of activity, The Side Hustle Project has rapidly grown into one of the most popular podcasts for entrepreneurs, freelancers, writers, and consultants available. Independent project managers (or aspiring independent project managers), listen up. Host Ryan Robinson has been featured in Fast Company, Forbes, Business Insider, Entrepreneur, and Inc., and successfully built a part-time creative project into a six-figure, self-employed consulting career that landed him contracts at Google, LinkedIn, Zendesk, Adobe, and more. On his podcast, Ryan sits down with other side hustlers to discuss practical tips, common challenges, and proven strategies. If you’re tired of the daily PM grind, or generally trying to find more meaning in your PM career, this is the podcast for you. The Manager Tools podcast is for everyone tired of hearing about “management theory.” What project managers really need is practical, actionable, evidence-based instruction that will improve their management skills from day one. Winner of Best Business Podcast Award in 2006, 2007, 2008, and 2012, Manager Tools offers one of the most extensive podcast libraries available, including recent episodes like “Horstman’s Law of Uncertainty,” “The Bridge Between Feedback And Coaching,” and “The Manager Tools Onboarding Checklist.” Founded by by Michael Auzenne and Mark Horstman, Manager Tools has worked with and trained Fortune 1000 companies around the world, and earns 425,000 downloads per week. No matter your area of focus, project managers will gain instant insights from this long-running series. PM Point of View offers brief, insightful conversations on the project management industry from the perspective of experienced professionals from a variety of disciplines. Hosted by Kenall Lott, CEO and President of M Powered Strategies, episodes focus on how to create value in unexpected places using the latest tools, technologies, and management techniques. Previous episodes include a roundtable discussion of the PMBOK Guide, project management in international development, and issues in project management ethics. In addition to industry leading guests, Kendall’s long career in and around project management — including stints with with the U.S. Peace Corps, the U.S. Department of Justice, and Hewlett Packard — gives the podcast an expert’s touch, one reason why it’s downloaded by thousands of listeners around the world. Sometimes it pays to go straight to the source. 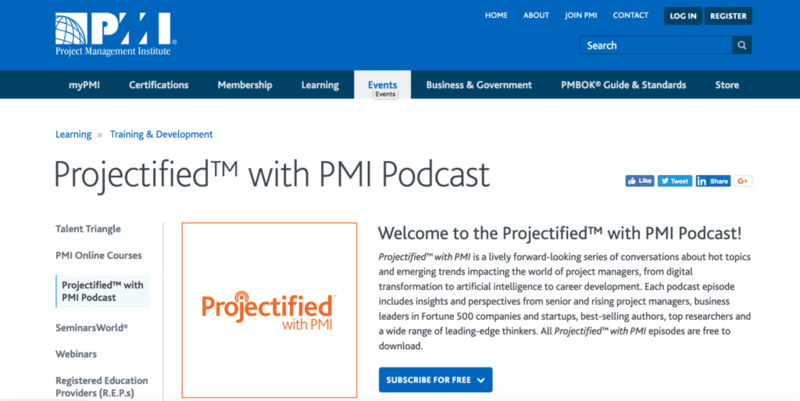 Projectified with PMI is produced by the Project Management Institute and features ideas, expertise, and personal stories from some of the industry’s most successful, innovative thinkers, including senior and rising project managers, business leaders in Fortune 500 companies and startups, and best-selling authors. Best of all? It’s free, which as project managers are well aware, isn’t always the case with PMI. Among recent recent guests include IBM’s Jim Boland on developing PM talent, balancing traditional and agile approaches, and staying relevant; Jane Canniff on project management in the for-profit and global development sectors; and John Daly and Henk van Huyssteen on how digitalization is changing project operations. Serious project managers can’t afford to miss this podcast. Hosted by productivity strategist Mike Vardy, The Productivityist Podcast wants to move listeners from thinking about productivity to actually getting things accomplished. Of course, project managers know that’s easier said than done. In this series, you’ll learn actionable tips, tools, and tricks to improve an array of PM skills, whether it’s time management, scheduling workflow, organization, communication, or team-building and collaboration. Reviewers emphasize the podcast’s ability to “cut through ‘overthinking’ a problem” as well as Vardy’s plainspoken, accessible lessons — the same compliments that have earned The Productivityist press in Fast Company, Lifehacker, Success, and The Huffington Post, among others. Checkout the podcast’s website for additional resources, blog posts, and individual coaching. The Project Management Podcast is, you guessed it, a weekly to bi-monthly series that delivers best practices, new developments, and practical guidance in project management. With over 400 episodes, listeners have access to a deep and wide archive of content. Interviews with industry leaders provide valuable insights and real-world experience, and more resources are available online, including free PDUs, links and articles, and a newsletter. Previous episodes include Justin Fraser, recorded at the Project Management Institute (PMI)® Global Conference 2017 in Chicago, on how millennials are faring in project management; Darryl Hahn on how NASA implements project management; and Mike Griffiths and Jesse Fewell on the new Agile Practice Guide. 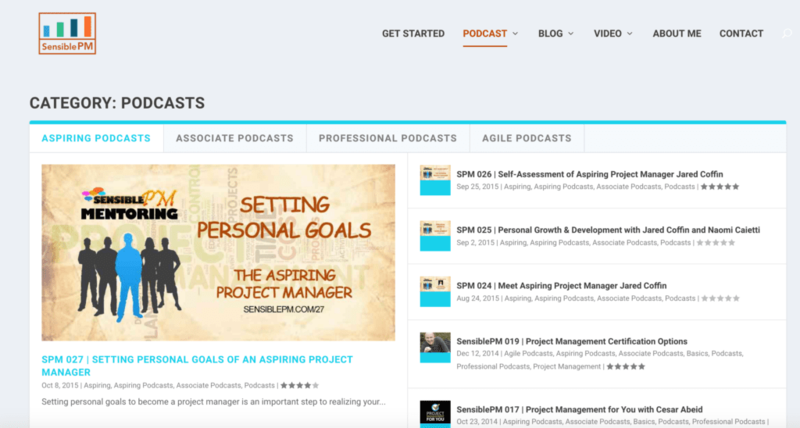 Hosted by Cornelius Fichtner, PMP, The Project Management Podcast is a quality pick for relevant, on point listening. Similar to other podcasts on this list, People and Projects is about no-nonsense results: “Anyone can talk a good game. But at the end of the day project management is about delivering.” We agree. Host Andy Kaufman, PMP and President of the Institute for Leadership Excellence & Development, leverages both his vast professional network and top-notch credentials to deliver a podcast that’s fresh, original, and full of useful advice on how to boost your project management skills. Hear from PM experts across multiple disciplines on some of the most pressing challenges in the industry, from Agile, to successful team-building, to optimizing risk management. Episodes clock in between 45 minutes to an hour and occasionally include video features. Listeners also have access to weekly roundups, notable links, and free PDUs. Produced by Cora, Project Management Paradise delivers actionable project management advice from leading experts from multiple fields across the world, including discussions on project management methodologies, software, change management, time and resource management, organizational behavior and leadership, and company culture. Episodes tend to run around 30 minutes, making for short, digestable content, and emphasize concrete solutions to real-world PM problems. A few sample episodes include: “Evolution of the PMO,” with Jackie Glynn, Head of the Portfolio Management Office at Three Ireland; “Impacts of Brexit on Management and Delivery of Projects in Ireland” with Pat Lucey from Aspira; “Project Prioritization” with Jeff Kissinger, Senior Project Manager at Grand Rapids Community College; and “The Importance of Project Leadership” with Dr. Jim Lewis. Mark Phillipy’s Sensible Project Manager Podcast builds on over 17 years of experience, as well as discussions with other project managers that emphasize a practical approach, which includes traditional and agile methods, to provide the greatest value possible in the most efficient way. In addition to real career lessons, Mark demonstrates how project management principles can apply to everyday life — for instance, in the episode “7 Ways a Good Project Team is like a Good Marriage.” Expert guests provide essential, even surprising insights, and listeners can navigate the podcasts by type — aspiring, associate, professional, and agile — to create a personalized learning experience. Check the podcast website for video content and blog posts. Project Management Office Hours, produced by RadioX, assembles leading project managers to talk current trends, topics and lessons learned on the job. Hosted by Joe Pusz, also known as PMO Joe, the podcast serves three functions: educate, elevate, and execute (functions that successful project managers the world over live by). Aspiring and experienced professionals alike will find quality discussions, and every episode is short enough to complete on the commute, during free time, or your preferable podcast listening hours. Previous shows have featured Fabrice Allibert from Talaia OpenPPM, Tom Stokes from Workday, Rob Loy from Avnet, Roy Bell from Thriveforce, and Evalyne Cambron. Pitched as a “podcast by project managers for project managers,” Manage This delivers new shows every first and third Tuesday of month. No project management topic is ever off the table, but particular focus is placed on PM certification, leadership tips, how to manage the unexpected, building and managing teams, new developments in the industry, and more. Another boon: experienced hosts Andy Crowe and Bill Yates always invite listeners to submit questions and suggestions, ensuring episodes stay fresh, relevant, and tailored to a community of like-minded, curious professionals. Prior episodes include “Creating a Culture: The “Why” in Strategy,” “Artificial Intelligence: Supercharging Project Management,” and “Overcoming Uncertainty in Consolidations,” all with high-quality guests. Also of note: listeners can claim 0.5 free PDUs per episode. Adapted from the eponymous book, Olivier Coquillo’s podcast is designed for current and aspiring construction professionals to advance their careers, using real-world lessons learned, advice, and best practices for project engineers, project managers, estimators, superintendents, surveyors, carpenters, ironworkers, operators, plumbers, electricians, and more. The more voices, the better. In particular, you’ll learn about residential, commercial and institutional, infrastructure, and industrial construction, but future episodes may explore additional areas (this is the newest podcast on the list). While listeners will hear plenty of traditional construction management advice, the goal is to “inform, inspire, and challenge the status quo,” giving listeners a unique perspective on an time-tested trade. Got five minutes? We thought so. 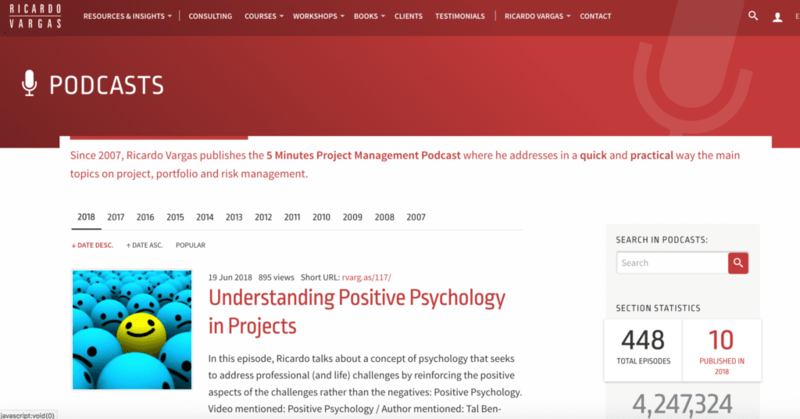 Ricardo Vargas’s 5 Minutes Project Management Podcast is ideal for the PM on the run, delivering thoughts and lessons in project, portfolio, and risk management in quick, delicious bites. No wonder it’s popular, inching toward 500 episodes and 4 million views. With over twenty years of experience, Vargas has presented more than 250 keynote speeches and lead over 80 major transformation projects in oil and gas, energy, infrastructure, telecommunications, information technology and finance industries, covering a $20 billion investment portfolio. In the event you’re still not convinced, Vargas also won multiple awards, from the PMI Distinguished Award to Microsoft’s Most Valuable Professional (2014, 2015, 2016, and 2017). He holds three certifications by the Project Management Institute, eight by AXELOS/APMG, one by the Chartered Institute of Procurement & Supply, and one by the Association for Advancement of Cost Engineering. Don’t let the title fool you. Peter Taylor’s podcast is not about slacking off on the job. The point is to work smarter, not harder, and for full-time project managers, that kind of efficiency is critical. With over a million downloads, Taylor brings years of experience to the table to speak with experienced PMs about what works, what doesn’t, and what can be improved. Previous episodes cover how to develop project sponsors inside an organization, how to foster a healthy and sustainable project, and more. Project managers that prioritize time management — and how to maximize work-life balance — will find plenty of food for thought on this podcast.